So we ALL saw the Evian ads with the roller skating babies. Needless to say, it was pretty awesome and is one of the most popular ads ever. 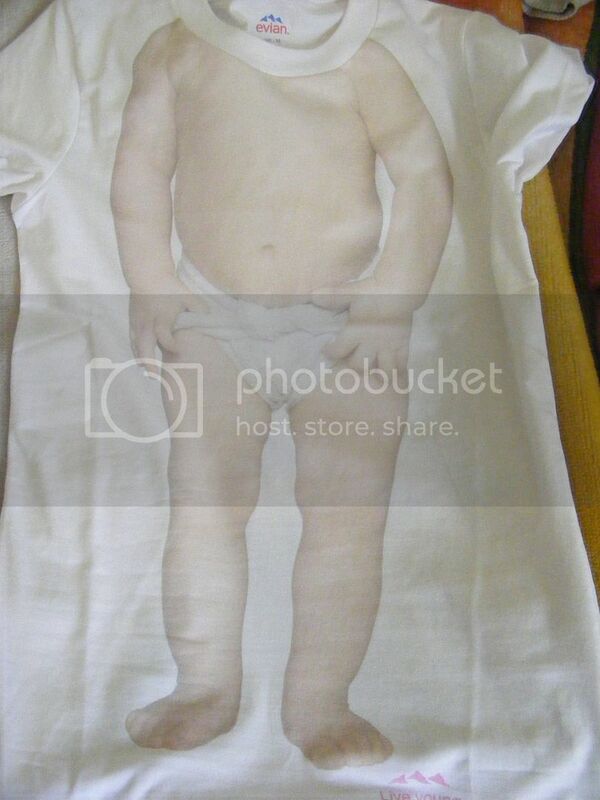 Evian recently launched the Baby T-shirts and they've just gone on sale in the UK. I was asked to style one and I had so much fun. It really is such a cute t-shirt and it's guaranteed to make you smile. They're hilarious and soooo cute. I decided to edge it up a bit with a Warehouse skirt and Rocket Dog boots and really liked how the look came out. The outline is a bit light and the pictures are a bit bright, so hopefully you can see it more clearly in the pictures below. Evian have also launched a pretty cool campaign to go with the t-shirts. It's a really fun and interactive campaign and really lets your inner child out. The App lets users do a baby dance, and then become part of the longers user-generated music video. Celebrities such as Jameela Jamil have already been invovled. You can buy the t-shirts here (I recommend it: they're so comfortable) and can take part in the clip here. You can wach the clip so far and it's hilarious! P.S. Last few days of my giveaway! Go Baby... looking so cute! That must have been so much fun to try and style it. I like what you came up with! ohh I have that same tee too except the african american baby instead haha! did you get it when they pulled up their truck asking you for pics? Awww precious! Hehe. ;) I really love your boots too. Omg. This tee is adorably hilarious. I love that Evian designed these and I'm surprised that they were the first ones to come up with the idea. I love the tee with your skirt and boots, which add a feminine flare and some hard edge. How could you not smile when wearing this tee shirt! Haha amazing, such a kooky piece! I love how you styled that shirt with a skirt rather then the expected jeans. Looks cute! Sherin!!! you look awesome with that skirt and boots! love the result! That is funny! Looking cute! Too cute! You styled it perfectly! I just don't really think it would be that cute on a pregnant lady...haha is that mean?? It would just seem cheesy to me. lmao I've never seen this t-shirt!! So random, I like it!